Gov. 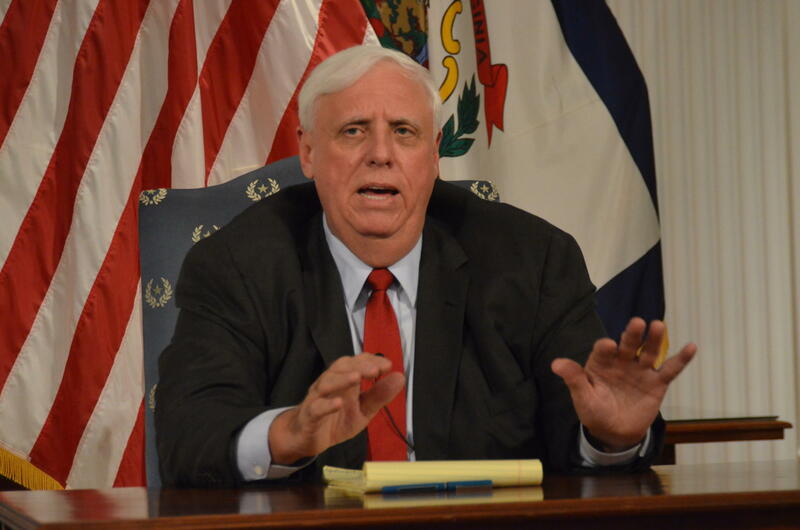 Jim Justice speaks at a news conference on Monday, Aug. 6, 2018. "The state is completely and totally satisfied with the resolution of these matters," Revenue Secretary Dave Hardy said. Justice didn’t say how much was owed or whether the amount of obligations paid were reduced as part of negotiations. He also noted it would likely be a few days before the liens were released by the county offices, making the settlement of the debts official. "I don't know what the amount is, even at this moment," Justice said, noting that his coal business dealings had been handed over to his son Jay. "I know it's millions of dollars." Hardy and Deputy Revenue Secretary Allen Prunty cited state code when they said revenue officials were unable to discuss the specifics of the transactions made by Justice's company to clear the debt obligations. Cabinet-level secretary poitions are appointed by the governor. The billionaire businessman-turned-politician blamed part of the tax burden on Mechel, a Russian company that bought mining interests from Justice in 2009 before selling them back to him in 2015. However, NPR's Howard Berkes -- who has reported extensively on Justice's finances -- said on Twitter that the debts belong to Justice's companies and not Mechel. An October 2016 report from NPR, West Virginia Public Broadcasting, Ohio Valley ReSource and Mine Safety & Health News found that Justice’s companies owed $15 million in taxes and fines in West Virginia and five other states, including Alabama, Kentucky, South Carolina, Tennessee and Virginia. The original report from NPR showed those companies owed $4.71 million in West Virginia. Justice promised to pay the remaining obligations soon, but was not specific about when that would happen. The governor's debts have been a subject of questions from West Virginia reporters since he took office in January 2017. He had promised to fulfill those obligations multiple times and noted that he is often asked when he would pay the taxes.